If you're planning to get new windows this season, make sure to cover all your bases. 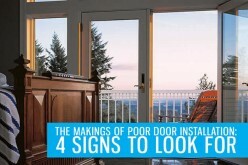 This doesn't just mean hiring a reliable installer for the job—you'll also need to take into account the window style to install. You already know that different windows perform a number of specific functions to help improve your home’s look and feel. So which style is right for your home is a serious consideration. 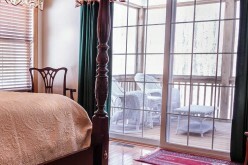 Picture units, for instance, can help maximize your outdoor views and let in plenty of natural light. Bay and bow windows, on the other hand, can add usable space to your home with their deep sill area. If you want superior natural ventilation, consider double-hung units, which remain a popular because of their clean and simple design. 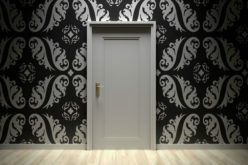 Given all these choices, it’s sometimes difficult to pick the one that best suits your home. That’s why it pays to do a bit of research and weigh each window style’s pros and cons. NO CASE AGAINST CASEMENT WINDOWS. Simple and efficient design combined with easy operation make casement windows an exceptional choice. These windows have been around for centuries and are, in fact, one of the first examples of an operable window unit. Casements are recognizable by their window panels, which are attached to the frame via side hinges. This allows you to swing them outward or inward. Casement windows typically operate using a crank or lever—some designs also use this crank as a locking system. Before sash windows were introduced, casements were the primary style. Today, far from becoming obsolete, these windows remain a staple in most traditional homes in Europe and the U.S.–keeping the homes that sport them lovely, comfortable and energy-efficient. Casement windows are available in a variety of materials, finishes and color combinations, providing you with many design possibilities. 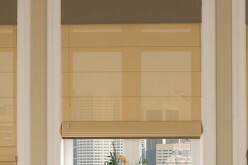 This makes it easier to match the windows with your home’s style and exterior palette. In fact, casement windows may also come with different grille patterns, including Colonial and Farmhouse, which can add to your home’s overall aesthetic. This is especially desirable when you’re aiming for historical accuracy. 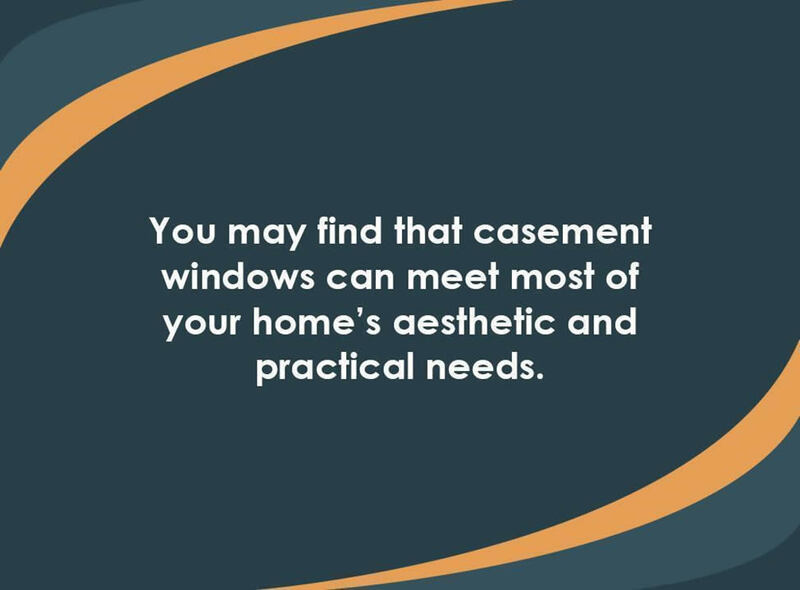 Your home can create a big impression from the curb with your casement replacement windows. 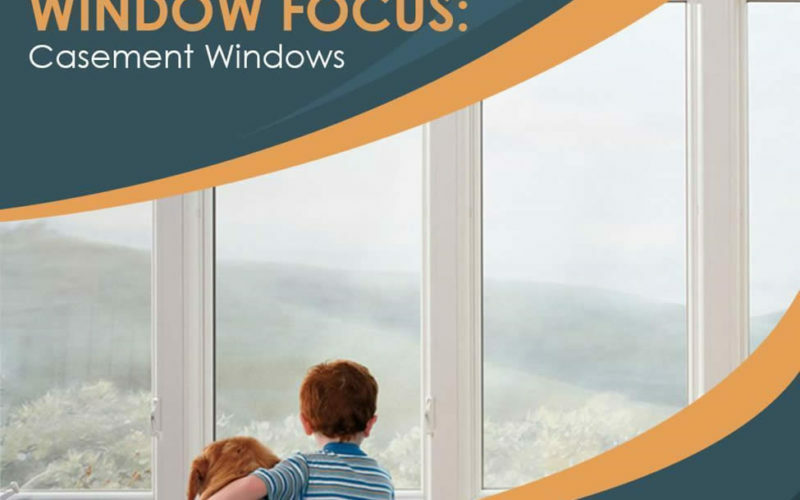 Recent advancements in window technology have made replacement windows more energy-efficient. Still, the window style itself is a huge contributor to this. Casement windows, for example, can be opened fully or angled to direct fresh, cooling breezes into your home. Because they allow access to great natural ventilation, you can keep your home comfortable without relying too much on your air conditioning. Keeping your rooms comfortably toasty in colder months is also possible with casement windows. When you close them, their sashes press firmly against the frame, creating an airtight seal which reduces the potential of heat from escaping your home. Casements are one of the most energy-efficient replacement windows around, second only to fixed units like picture windows. 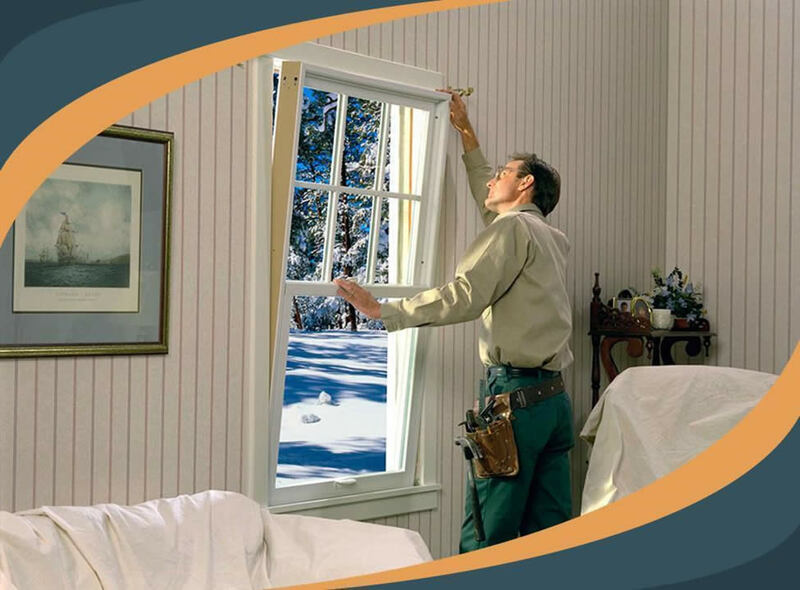 Opening or closing your casement windows doesn’t take much effort because of their simple design. They also have fewer operable parts to break, so maintenance is easier. Casement windows are also perfect for your home’s bath and laundry. They don’t just brighten up these rooms; because they provide superior natural ventilation, casements can help reduce high moisture buildup in the space as well. This helps improve indoor air quality (IAQ), while helping get rid of lingering odor. 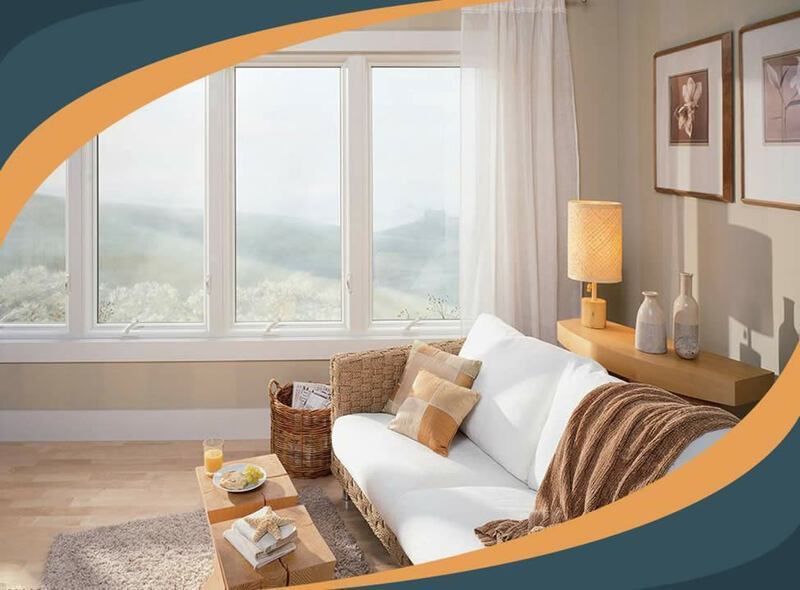 With casement windows, you can maintain a healthier home. 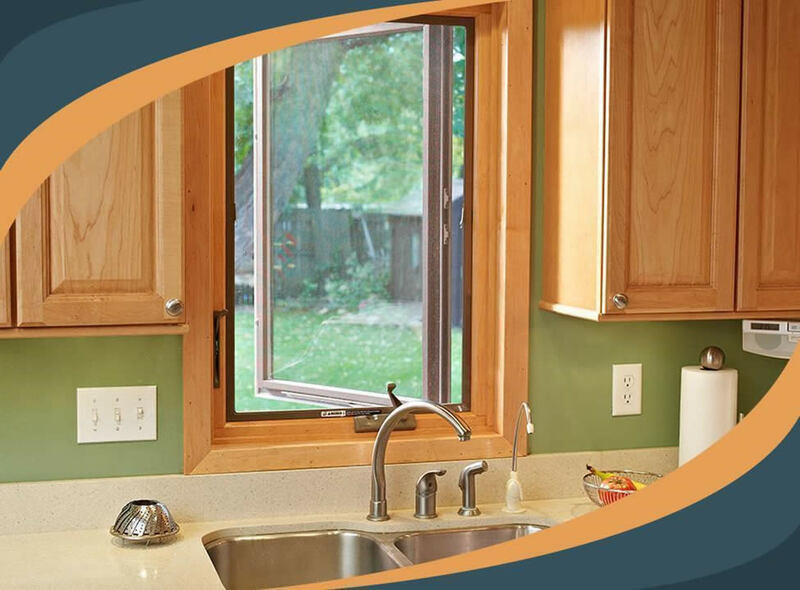 Alternatively, you can have these windows installed over your kitchen sink or above counters and appliances. Like the bath and laundry room, your kitchen uses a huge amount of water. Having them in this space allows for better IAQ. The bright, airy and spacious feel casement windows can provide can greatly enhance your home. That’s why they’re also used in smaller rooms to get rid of that stuffy, crowded feel. As mentioned, casement windows come in different materials, which can help define their longevity and performance. They may use wood, which is known for its natural beauty, great strength and superior insulating properties. This material, however, is prone to moisture damage and will require constant maintenance. Casement windows may also come in vinyl, which is cost-effective and versatile. While windows made of this material can provide maintenance-free performance, they are also vulnerable to warping when exposed to extreme changes in weather or temperature. If you want something better, you should consider composite casement windows. They can offer the best features of different framing materials, including wood’s durability and insulating value, as well as vinyl’s light maintenance requirements. Composite doesn’t crack, chip or corrode;it doesn’t change shape as much under heat or cold, either. 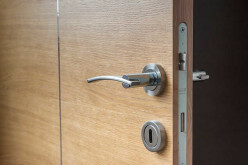 Because it keeps an airtight seal, this material can help prevent significant energy loss. HIRE THE RIGHT WINDOW CONTRACTOR. 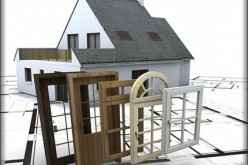 This way, you can ensure sturdier and better performing casement windows. You can improve your casement window’s performance not only with your choice of framing material, but by carefully selecting the glass. Premier manufacturers offer modified Low-E (low-emissivity) glass with their products. This advanced component helps reduce heat transfer in your home, leading to a cooler, more comfortable indoor environment that reduces the load on your cooling system. Some Low-E glass is even augmented with coatings that prevent significant sun damage to your home’s interior. If you want to make sure your casement replacement windows can provide excellent energy performance, look for the white-and-blue ENERGY STAR® label on them. Even the highest quality casement units will need a premier window company to install them properly. You can look for one easily by asking friends and neighbors for local referrals. Following that, check your prospective window company’s credentials. Make sure they’re fully licensed, insured and certified. Look them up on prominent trade sites like the Better Business Bureau or Angie’s List to see if they’ve earned good scores or ratings. Check their website for reviews or, better yet, ask for a list of references. You can better determine their professionalism and the quality of their work via the feedback from their previous clients. Do consider casement windows for your replacement project. With their exceptional features, you can pave the way to a more beautiful, comfortable and energy-efficient home. David Reber is General Manager of Renewal by Andersen® of Kansas City, one of the most reliable window companies in the region. His home improvement experience and proficiency, plus passion for helping Kansas City homeowners, ensure the window replacement project runs smoothly from start to finish. Catch more of David by visiting the company blog.